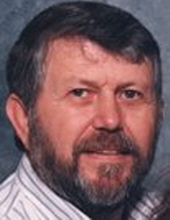 James Lee “Jim” Alli, age 72, of Pikeville, Kentucky passed away Tuesday February 12, 2019 at the Pikeville Medical Center. He was born November 9, 1946 a son of the late James and Neva Reeves Alli. Jim was a supervisor at the Kellogg’s factory. Jim is survived by his loving wife, Deborah K. Coleman Alli; three sons, James (Misty) Alli of Centralia, Illinois, Joseph (Mary) Alli of Terra Haute, Indiana, Jacob Lyons of Pikeville, Kentucky; three step-sons Brian Hurley of Kimper, Kentucky, Troy Hurley of Pikeville, Kentucky and Scott Hurley also of Pikeville, Kentucky; three daughters, Linda George of Odin, Illinois, Lesa (Robert) Moore of Bardstown, Kentucky and Kay (Darren) Byington of Fort Worth, Texas; one step-daughter, Tonya Hurley of Pikeville, Kentucky; 17 Grandchildren and 3 Great Grandchildren. Also a large host of other family and friends. To send flowers or a remembrance gift to the family of James Lee Alli, please visit our Tribute Store. "Email Address" would like to share the life celebration of James Lee Alli. Click on the "link" to go to share a favorite memory or leave a condolence message for the family.